Why Nutrient-dense Calorie Restriction is not enough! Posted on Wednesday, June 24th, 2015 at 5:47 pm. 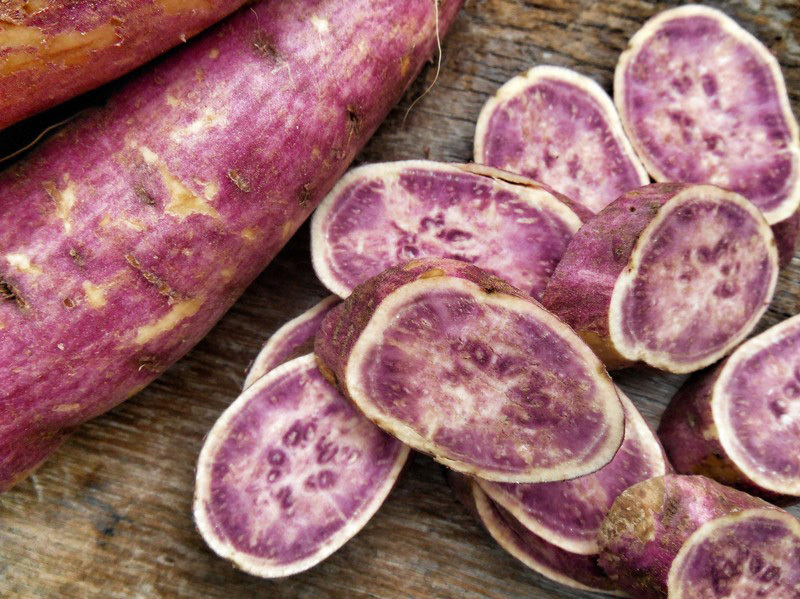 The Purple Sweet Potato – A Healthy Blood Sugar Effect? Posted on Thursday, November 14th, 2013 at 6:39 pm. Tags: Antioxidant-Rich Dietary Pattern Low in Glycemic Load, cr way, GI purple sweet potato, japanese sweet potato, livingthecrway., long-live okinawans, mrs. greens natural market, nutrient dense, okinawan sweet potato, purple sweet potato, sweet potato, the okinawan diet, The Okinawan Diet: Health Implications of a Low-Calorie, The Purple Sweet Potato – A Healthy Blood Sugar Effect?